We kicked off 2019 by launching our annual Catch22 Social Business Review, assessing our work of the past year. It reviews our impact, how we achieved it and what we learnt from our frontline work. It outlines our plans for the future and our ambitions for reform. Enter our photo competition for a chance to win a goody bag; simply send us a photo of our Social Business Review in an exotic or peculiar place and we’ll enter your name in our monthly draw. Including yourself in the photo is optional, and ‘exotic’ doesn’t necessarily mean abroad. Each month we’ll draw a winner from the pool of entries and send them a Catch22 goody bag. 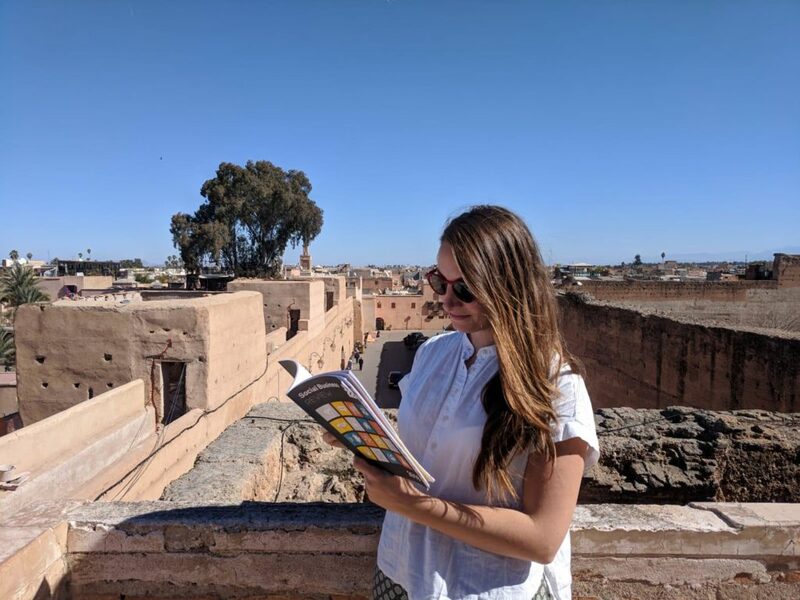 Virginia, our Designer, was the first to enter the competition with this photo of her reading the Social Business Review in Morocco. All entries should be accompanied by a name, email address and where the photo was taken.